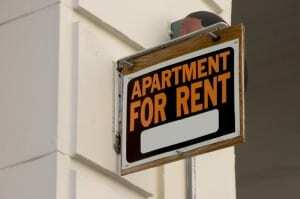 Salt Lake City recently amended its rental statutes to require that all landlords–regardless of the number of units, must have a license to rent out their properties. The license fees are about $110 per year. Landlords face an additional assessment as high as $342 per unit–unless they get a break for good behavior. The only way to avoid paying the fees, which are assessed for any rental including single and double family homes, in-law apartments, boarding houses and fraternities/sororities, is to participate in the Good Landlord Initiative training program. Those who complete the training will pay a reduced fee of $20 per unit. It is not clear whether there is a fee for the training, which runs for 8 hours, and requires a 4-hour follow up session every other year. There is evidence that such a program can work. SLC officials report an 11% reduction in police calls in rental units. Yet, response to the new amendment is mixed. Tenants fear the higher fees will mean higher rent. Responsible landlords say the timing is bad because driving up costs in this economy only makes it harder for people to find rental housing. Others say that building problems are sometimes caused by reckless tenants, and suggest that rather than focusing on the landlords, the city should license tenants, and offer a “good tenant” discount. Local residents who are renting rooms to family, the elderly or only temporarily appear to be the most impacted by the recent change. According to a local news report, SLC expects to receive $1.8 million in additional revenue as a result of these changes to the program. City officials say the funds will go towards the training program.